With so many electronic devices in our house, headphones are a must. However, we’ve had really bad luck with headphones lately. We bought some good ones for our 13 year old but they have found their way into the wash no less than 10 times. We bought cheaper ones & they allow you to hear everything around you, not the music you’re listening to or the game the kids are playing. I was really excited to try Audiofly’s AF33 In Ear Headphones. From the very first time I used them to listen to music (as I blog :)), I have been in love with these headphones! As I write this, I am sitting right next to my husband’s 60 inch TV and surround sound speakers. The First 48 is playing and all I can hear is my music on Pandora! I don’t hear me typing away on the keyboard, I don’t hear any of the TV show and the Audiofly headphones don’t hurt my ears like so many other headphones have in the past. The Audiofly AF33 Headphones come with 4 sets of noise isolating silicon ear tips in various sizes. Super easy to find the right size for your ears so you can hear your music & not whats going on around you. You also get a really cool microfiber pouch to keep your headphones safe (hey, maybe THESE won’t make it to the wash ever *fingers crossed*). The headphones I received have a microphone, as well. Audiofly has separated the mic from the button so you can have clearer conversations. Audiofly AF33 In Ear Headphones sell for $29.95 without a mic attached or $39.95 with a mic. You can visit Audiofly on their website, Facebook & Twitter. One lucky reader will win a pair of Audiofly Headphones, plus another pair of headphones! Read on to find out about the second pair! My kids got to try Perry the Platypus (Phineas & Ferb) headphones from Disney iHome. Disney iHome has a bunch of great products like headphones, speakers for MP3 players & over the ear headphones with some of your kids favorite characters. My youngest son Ryan loves the Perry headphones because they have yellow on them, all that matters to him 🙂 But I love that the smallest noise isolating ear tips fit his ears. He loves plugging them into my husband’s tablet or our new MG (review coming!) and watching Phineas & Ferb on Netflix. These headphones come with 3 different sized ear tips & a travel pouch so you don’t lose the headphones. My kids are all super happy with the headphones and I am happy that they come with the different sized ear tips so all my kids (ages 13, 9 & 4) can use them but no ones ears are hurt or uncomfortable. You can check out all the headphones, and much more, at Disney iHome. One lucky winner will receive their own pair of Perry the Platypus Disney iHome headphones for the kid(s) in their life, PLUS the Audiofly AF33 In Ear Headphones for themselves! Please enter below on the Rafflecopter! over the ear headphones with Minnie! The alarm clock speaker system with minnie mouse on it would be such a hit at our house! I like the AF33 ones, they are a pretty purple color, my fav!!! I like the Perry the Platypus Headphones. slycat black for me, too. thx. I like the slycat black. thank you for the chance at such a great giveaway, the headphones look awesome. i prefer them in AF33 HiRise Purple (w/Microphone). I like the SlyCat Black ear pods. The Kermit headphones are really cute! My son would like the Phineas and Ferb Rechargeable Speakers. I like the Slycat black! Thanks! I like the Kermit headphones! Thanks! Love the Perry over -the- ear headphones. AF33 HiRise Purple all the way. Hirise Purple. Purple is my favorite color. The Minnie Mouse Portable Stereo. I like the purple ones the best. Maybe my husband would think twice before “borrowing” them. I LOVE (and my kids would, too) the Where’s My Water Rechargeable Speaker! Alarm clock speaker system….frog is so cute. HiRise Purple. I don’t see the Mickey Mouse buds, but those would be cute. Just saw my email may have been entered wrong. It’s [email protected]. Thanks! AF33 (purple) ones are my fave. My kids would love the M40 over ear headphones. I like the Kermit over-the-ear headphones. I like the Slycat Black color. I also like the over the ear headphones with Perry the Platypus. That lavender pair is really good looking. 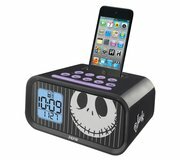 Nightmare before christmas, stereo speaker. I like AF45 Extra Virgin. I like the SlyCat Black best. I think my boys would like the iH22, Perry ipod alarm clock. I like the AF33 in Lounge Yellow! Cute! Kermit over the ear headphones! AF78 is my favorite. Thanks for the giveaway. I love the Corset White color of headphones. They are all unique and fun colors though, thanks! The Minnie Mouse Over the Ear Headphones are another thing I really love! Thanks! I love the Perry ones! I like the highrise purple the most. I like the over the ear headphones with Halloween Jack on them. I like the corset white headphones. My daughter would love the Minnie Mouse iPod alarm clock. The Selvage Blue are such a cool color combo! The whole family loves the Jack Skellington over ear headphones! We are huge Tim Burton fans! The Hirise Purple ones are my favorite. I like the af33 purple ones. Thank you! My kids would love the Street Beats Earbuds (CR-110).